2018 Toy Drives and Donations in the Southwest Suburbs - Holiday Giving! The holidays are a great time to teach children the valuable lesson of giving. 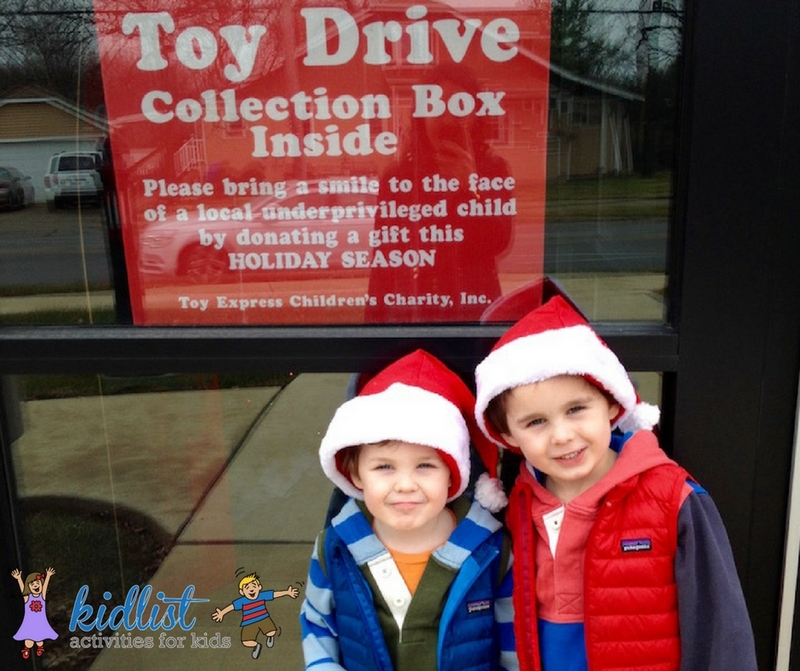 There are many toy drives in the area for donating new or gently used toys so that every child can celebrate the holiday season with a gift. Now is a great time to start making these events annual traditions with family and friends! Accepting new, unwrapped toys for donation and monetary donations. Chicagoland Toys for Tots is a separate entity from the U.S. Marine Corps Reserve Toys for Tots program, but they are its single largest contributor. They provide toys to individuals, youth groups, shelters, hospitals and group homes throughout the city of Chicago. Their main event is the Chicagoland Toys for Tots 41st Annual Chicago Motorcycle Parade on Western Avenue. This event will be held Sunday, December 2, 2018 starting at 9:30 am at Dan Ryan Woods (83rd and Western). Celebrating their 41st year, this parade welcomes 40 to 50 thousand motorcycle riders to ride together and donate toys for children in need. Come ride or spectate, but be sure to bring a new, unwrapped toy to donate! Call (708) 598-4909 or click here for more information. Toy donations or monetary donations accepted to support the Children’s Hospital. Drop off times are Wednesday, December 19th from 3:00 pm – 7:00 pm and Saturday, December 22nd from 9:00 am – 1:00 pm. Click here for their Amazon wish list or click here for a wish list of items. Donate to the children and families staying at The Ronald McDonald House. Please see their Wish List for items needed. You can also volunteer to go directly to the houses to cook meals for the residents and do other volunteer activities. Check with your local Ronald McDonald House for specific requests. Drop off new toy donations at 159th and LaGrange Road in Orland Park Mondays and Wednesdays from 10:00 am to 2:00 pm. The facility is Located at Lakeview Plaza behind JoAnn Fabrics in the rear drive where deliveries are made. There is also a red drop box outside of the door for after hours drop offs, they just ask that you call if you leave items so a member of the staff can retrieve the items and bring them inside the warehouse. You can also mail donations to P.O. Box 1146, Orland Park, IL 60462. There is a wish list available here. This toy drive is the kick-off event for Share the Magic. It will be held Saturday, December 8th from 1:00 pm – 6:00 pm. The event is like an open house, so you can come by anytime 1 pm – 6 pm. There will be food tickets available for $10 per person and a special guest, Santa Claus, will be there to visit. Toys are accepted year round for all children ages 0-16 years; they just ask that you only donate new toys and that they come unwrapped so that they can assign to the appropriate age group. You can also mail donations to: Share The Magic Toy Drive, c/o Andrea Aguirre, 1914 Maserati Drive, Joliet, IL 60485. As an alternative to donating new, unused toys, you can donate gently used toys to your local Goodwill. See below for locations in the southwest suburbs. Goodwill’s revenue is used to provide employment and support for people with disabilities. For even more options, check out Toy Drives and Donations in Chicago’s West Suburbs, too. And please leave a comment to let us know how your family plans on giving back this season! Be the first to comment on "2018 Toy Drives and Donations in the Southwest Suburbs for Holiday Giving"